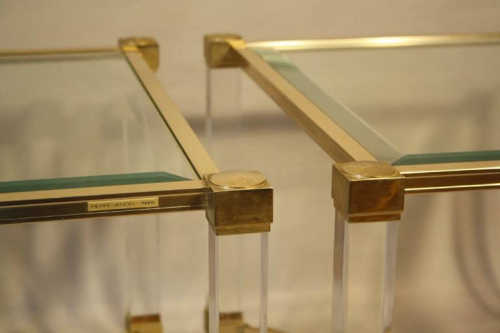 An elegant pair of Pierre Vandel side tables with gilt metal and lucite frames with glass shelf. French c1970. Pierre Vandel label tag.